This is my first post in 2013! Every begining of a new year, people tend to make a list of good resolution. I also did and one of them is to switch from Perl to Python to develop! Being a Perl addict for years, I don’t expect to completely abandon my beloved language but… I must be able to write better Python scripts! 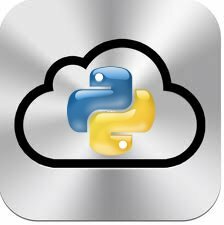 It’s a fact: Python is more and more chosen as the preferred language in many open source projects. I just started to read the book “Violent Python: A Cookbook for Hackers, Forensic Analysts, Penetration Testers and Security Engineers“. Based on my experience with Python, It looks very good and I hope to write a quick review soon. So, here is my first Python script! I’m using several “iDevices” and all of them are connected to iCloud. Let’s put aside the pros & cons of cloud storage (of course, I don’t store sensitive information in my iCloud account). It’s so convenient to take some notes during a conference on your iPad and have them already synchronized on your Macbook when you’re back at home! But I’m also using several UNIX systems and sometimes, sharing notes from them could also have multiple benefits. You can of course access your iCloud data via a regular browser but I was looking for something more “command line” based. I did not find a solution so I wrote mine! $ ./inotes.py -c inotes.cfg -s "Test Note"
$ cat foo.conf | ./inotes.py -c inotes.cfg -s "foo configuration"
As you can see, nothing fancy but it does what I need! The code is maybe hugly, buggy but available here. Feel free to use (and improve!) it. Note that you could use this script with any IMAP server, no need to have an iCloud access. Since El Capitan, Apple has changed the way notes ares stored on iCloud. They aren’t stored on an imap server. Do you know how they are managed now?